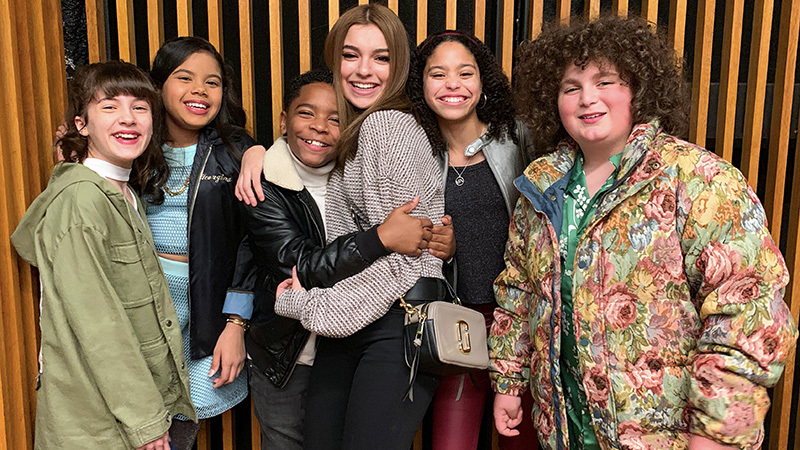 Netflix has announced that the upcoming live-action comedy sitcom Team Haylie starring actress-singer Bryana Salaz (Best Friends Whenever) has officially begun production. In addition to Salaz, the series stars Alison Fernandez (Once Upon a Time) as Amber, a tough, impulsive and street smart student leader of the Wilderness Club who is against Kaylie; Symera Jackson (Sydney to the Max) as Jackie, a straight-A student and rule follower who lives to please people and get into an Ivy League college; Elie Samouhi (Bizaardvark) as Chewy, a bumbling class clown; Kai Calhoun as Ray Ray, a pop-culture vulture who worships Kaylie almost as much as her wardrobe; and Eliza Pryor (Raven’s Home) as Valeria, a would-be witch whose spells are almost as bad as her people skills. The series was created by Emmy-winning producer Tracy Bitterolf (Emma Approved) and is being developed, showrun and executive produced by Emmy nominee Pamela Eells O’Connell (Jessie) through her banner Bon Mot Productions. No episode count or release date has been given yet to Team Kaylie, but the series will be directed by Bob Koherr (The Conners).